Jesus knew that by now everything had been completed; and in order to make the scripture come true, he said, "I am thirsty." A bowl was there, full of cheap wine; so a sponge was soaked in the wine, put on a stalk of hyssop, and lifted up to his lips. Jesus drank the wine and said, "It is finished!" It was three o’clock. Jesus called for water. He could hardly speak. A soldier fixed a sponge on a spear and held it up to his lips. It was terribly bitter but it was enough. He strained to raise his head and look up to heaven. "It is finished," he cried and then he bowed his head and gave up his spirit. The expression "It is finished" or tetelestai was well known to them. It was a part of everyday language. When a servant had completed a difficult job that his master had given him to do, he would say to the master – tetelestai - "I have overcome all the difficulties; I have done the job to the best of my ability. It is finished". When the Jewish people went to the temple with their sacrifice, the High Priest would examine what was brought. Most likely, he didn’t speak Greek but he would use the Hebrew equivalent of tetelestai – meaning, "Your offering is accepted; it is perfect". When the merchant at the market place made a sale and the money was handed over, he would say, "tetelestai – the deal is finished, complete. The price has been paid in full. I am satisfied". When a boy recited to his father a difficult passage he had learnt from the Scriptures or a girl showed her mother the bread she had baked for the family, they would say tetelestai and the parents responded with, "Well done, my child, I am very proud of you." When Jesus spoke those final words he wasn’t just saying, "This is the end of me" as if there was nothing else to do but to give in to his enemies and die. His last words weren’t a final surrender to the power of Satan as if to say, "You have won. I’m done for". These words don’t tell us that Jesus was dead now and that’s all there is to it. He is finished and so is everything that he stood for and promised during his earthly life. His sacrifice has been a perfect one, acceptable to the heavenly Father who, looking down on his Son hanging lifelessly from the cross, said, "Well done, this is my dear Son with whom I am well pleased". What is it that is finished when Jesus says, "It is finished"? In the movie Grand Canyon, a tow truck driver is threatened by five troublemakers as he attempts to rescue a terrified motorist. He says, "Man, the world ain’t supposed to work like this. Maybe you don’t know that, but this ain’t the way it’s supposed to be. I’m supposed to be able to do my job without askin’ if I can. And that dude is supposed to able to wait with his car without you rippin’ him off. Everything’s supposed to be different than what it is here." And he’s right. Everything’s supposed to be different. God created a perfect beautiful world and he made people to live in harmony and peace with one another. But look what’s happened. We all know what an effect our poorly chosen words and lack of consideration have on our relationship with family members and friends. Greed and selfishness destroy friendship and separate people and nations. That tow truck driver hit the nail on the head when he said - "Man, the world ain’t supposed to work like this". Jesus died on the cross to get rid of the power of sin to condemn us. His death bridged the deep gulf between God and us. "Salvation is finished", Jesus cried. The restoration of the friendship between God and humanity has been finished. The task for which God's Son came to earth has been completed. Salvation is complete. "It is finished". That’s why we call today "Good Friday". It certainly wasn’t a good day for Jesus. He endured pain, soul-wrenching agony, hanging by the nails in his hands for hours, death on a rough wooden cross, for our sakes. 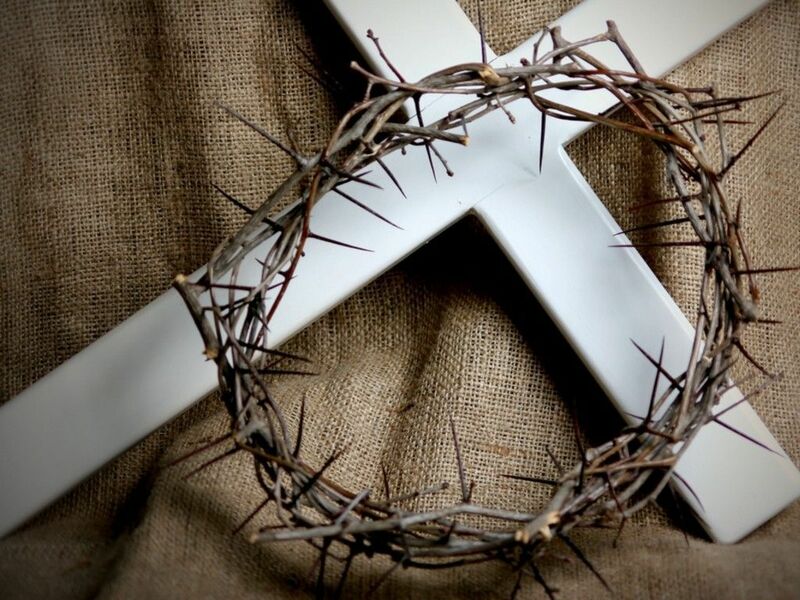 We call today "Good Friday" because the cross is proof of the powerful love that God has for each of us. No one, not even God, would do something like that unless he truly loved us. Here we see a love that was prepared to endure the ultimate in order to rescue us. Because of love, people do extraordinary things for others. They give us a glimpse, a small glimpse, at the kind of love that God has for us. God the Father sent his dearly loved Son into dangerous territory. He allowed his Son to be treated cruelly. He stood by and watched his innocent Son be nailed to a cross and to hang there in agony. He could have rescued him and cursed those who were treating him so brutally and maliciously. He allowed his Son to carry the sin of all humanity and so become repulsive even to his own Father. I don’t think we can fully appreciate what it meant for the Father to abandon the Son and let him died at the hands of evil people. When Jesus cried out, "My God, My God, why have you forsaken me?" we sense something of the terror of bearing the weight of the sin of all humanity. Paul writes, "God has shown us how much he loves us—it was while we were still sinners that Christ died for us! … We were God's enemies, but he made us his friends through the death of his Son." (Romans 5:8,10). That’s how much God loves us – Jesus died for us even though we don’t deserve it. His death has made us God's friends. Jesus' announcement, "It is finished" is clear and simple. Jesus has completed his task. The reason why he came as a human has been fulfilled. He came so that you and I can have forgiveness and salvation. He came to give us the victory. He came to ensure that we would enter his kingdom and live forever. Today we’re going to do an "Altar Call". You don’t have to get up; you don’t have to raise a hand or say a word. All I want you to do is close your eyes. For a short while, I want you to think about what Jesus has done for you through his death on the cross. Visualise in your mind the suffering Saviour. Think about the love that God has for you, and thank him. Ask God to wrap you tightly in his love – forgiving you, watching over you, guiding you. If you feel that Jesus and his love for you are not real for a large part of your life, ask for his help.